[PDF] Vintage Hairstyles: Simple Steps for Retro Hair with a Modern Twist | Free eBooks Download - EBOOKEE! Description: From the finger waves of the romantic 1910s to the beehive of the rebellious 1960s, retro hair has made a comeback. Vintage Hairstyles presents all the tools, techniques, and step-by-step instructions needed to achieve eye-catching looks for every occasion. Trendsetters, hairstylists, and fashionistas will love creating elegant updos for special events or playful curls for everyday excursions. Featuring a history of beauty trends by the decades, a list of must-have hair products, and projects for making chic hair accessories, Vintage Hairstyles showcases classic beauty with a fresh twist. 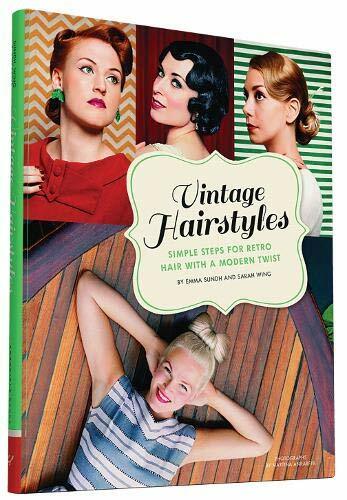 No comments for "[PDF] Vintage Hairstyles: Simple Steps for Retro Hair with a Modern Twist".